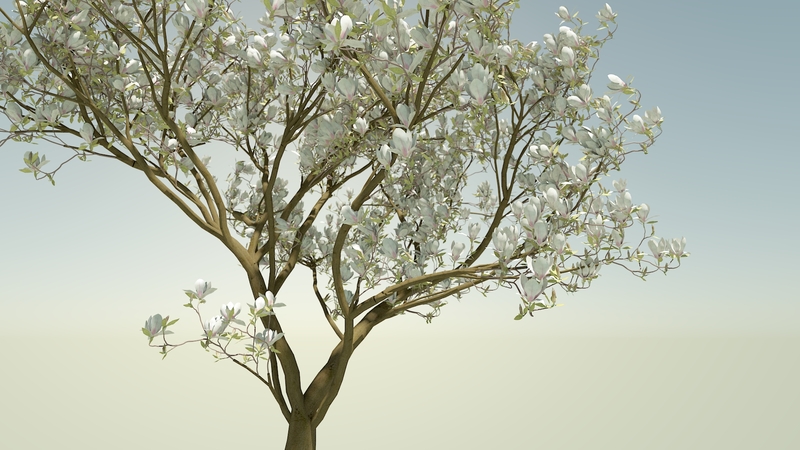 A beautiful flowering magnolia twig in spring. Magnolia’s are an odd bunch. They thrive in a northern temperate climate despite their tropical look. Their big bold flowers open up in early spring when it’s still quite cold. Come summer, all flowers will be gone, but even then Magnolias are beautifully dense green. 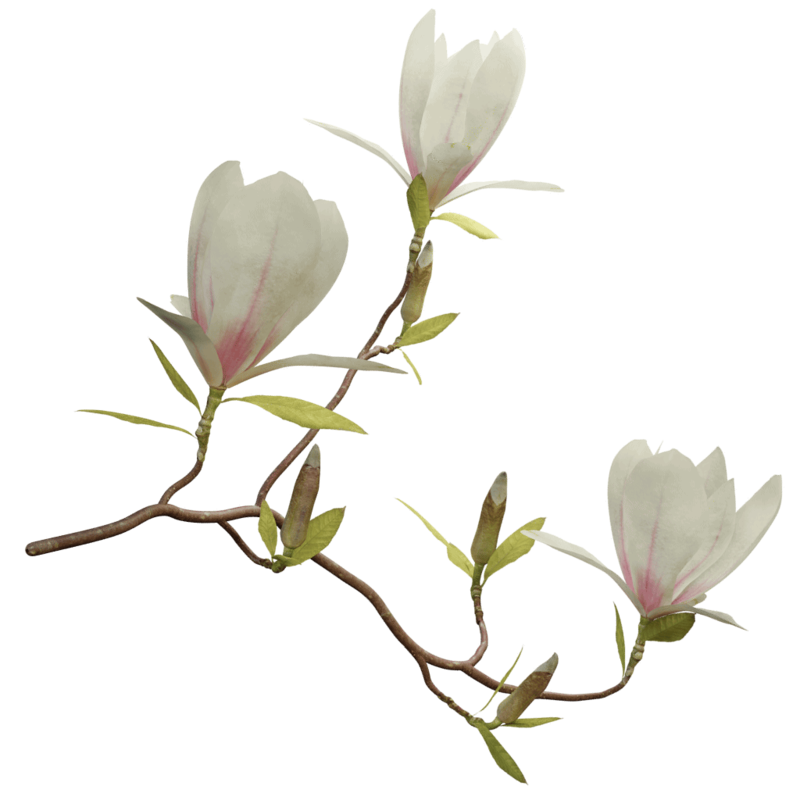 Magnolia’s evolve to an irregular shrub with multiple stems.